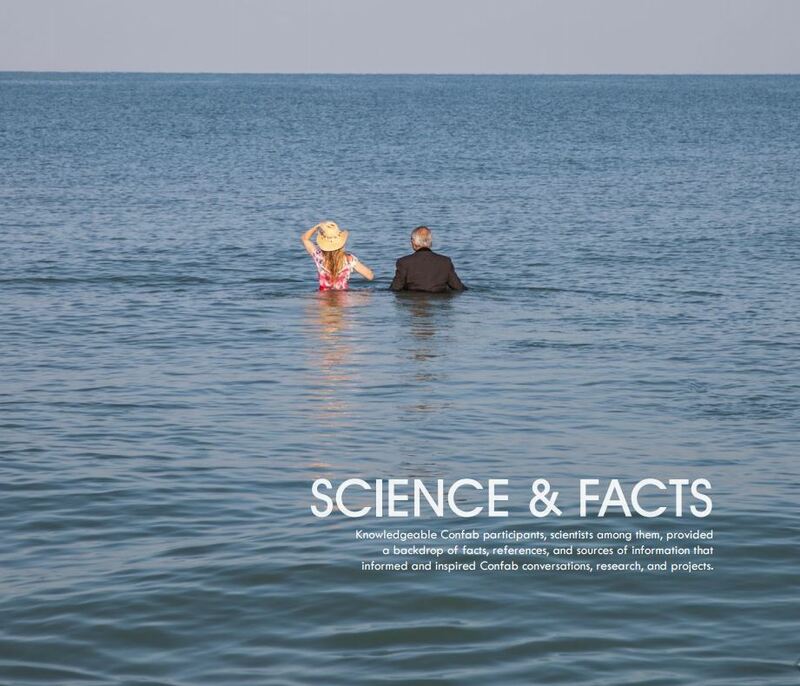 In times of rising seas, it might sound counter-intuitive to remove plants like Australian Pine or Melalucca. 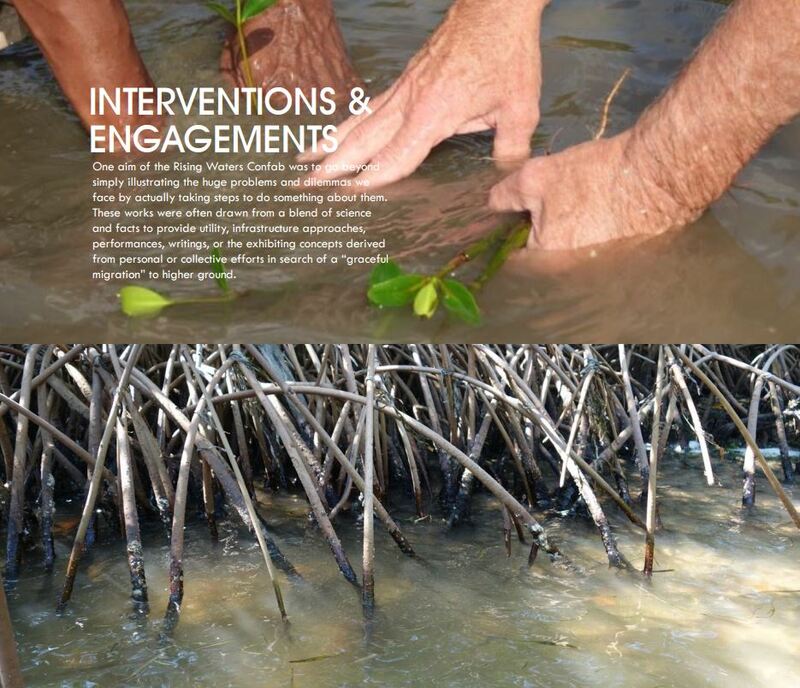 These exotic invasive trees –which means they outcompete the native flora and replace it with a monoculture that does not support biodiversity– were intentionally planted a century ago to help dredgers drain swamps and wetlands across our state. 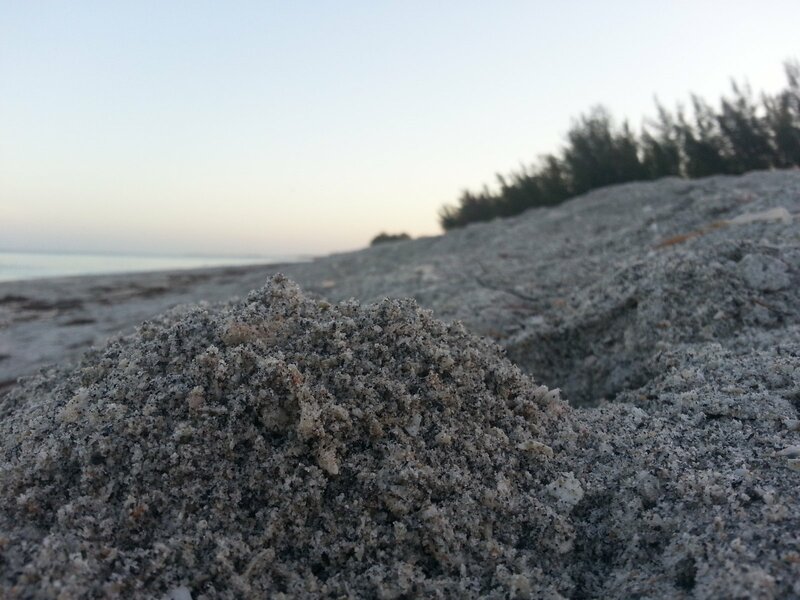 These trees can’t live in saltwater– so they won’t help with rising seas… . 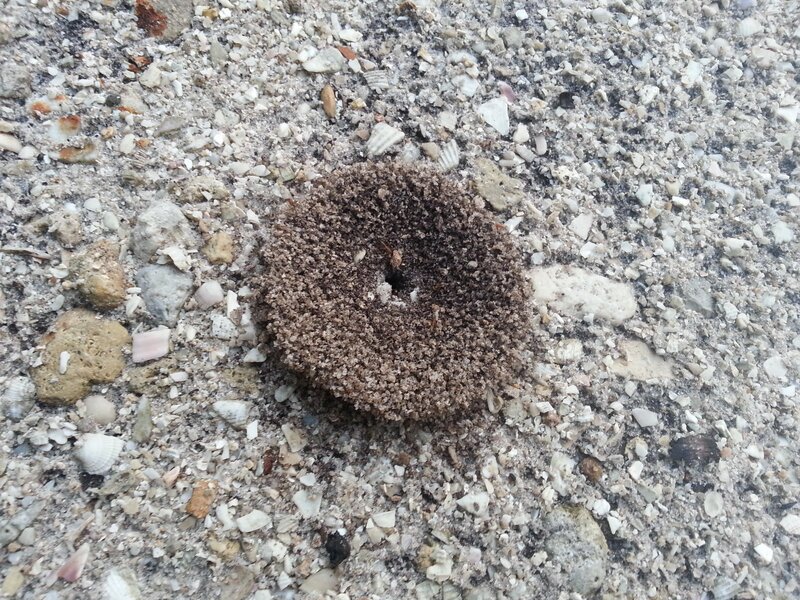 The rising seas will kill them and everything else. 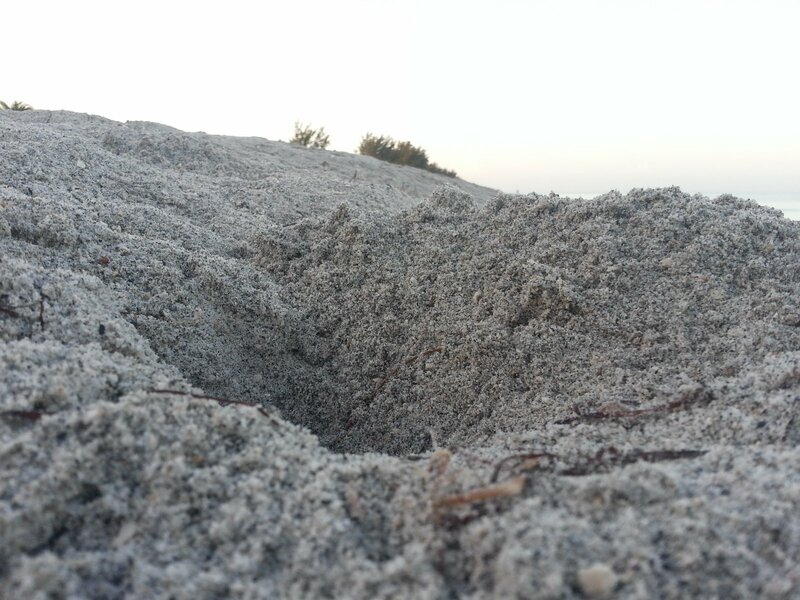 We need to work proactively to replace them with the native plants of our native coastal habitats. These habitats need to thrive so that as seas rise they can hopefully (it depends how fast the seas rise) move upland and sustain our web of life. 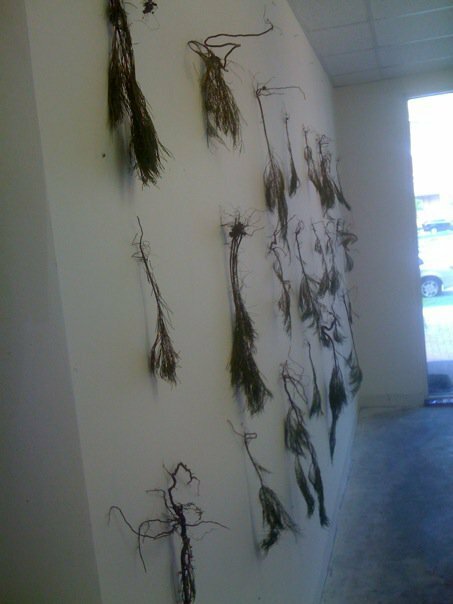 Xavier Cortada, “Hanging Gardens: Australian Pine at Brickell Studio,” 24 nails and exotic invasive tree saplings uprooted from Virginia Key on North wall of artist’s Brickell Studio, 8 ft x 16 ft, 2010. A while ago, I created a project called “Hanging Gardens” to encourage participants to go out and remove these exotic invasive trees. They would use them as commodity — for instance, we would make wall paper from the Australian pine cones (http://www.xaviercortada.com/?page=HG_Australian_Pine) and drapes from the Melalucca (http://www.xaviercortada.com/?page=HG_Melaleuca). A week ago, I ripped an Australian Pine from a beach in Northern Captiva and hung it as a trophy in Rauschenberg’s studio. I did so because I wanted to brag about my kill. And encourage others to do the same. // To learn move about hanging gardens visit http://www.xaviercortada.com/?page=hanging_gardens or see Facebook page. Hanging Gardens at Auburn (2010): Using exotic invasive plants from East-Central Alabama, Hanging Gardens was implemented as the final assignment in Professor Christopher McNulty’s combined intermediate-level and advanced-level sculpture class at Auburn University. 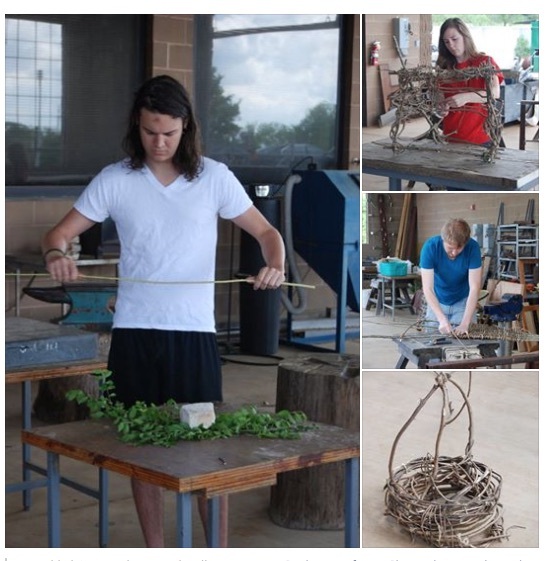 Using exotic invasive plants from East-Central Alabama, Hanging Gardens is also being implemented as the final assignment in Professor Christopher McNulty’s combined intermediate-level and advanced-level sculpture class at Auburn University. The album (https://www.facebook.com/media/set/?set=a.386254613422.168054.258114758422&type=3) contains in-process shots from late April 2010. Some students are far along. Others quite a bit behind. They seem to have focused on privet, wisteria, and kudzu. Final crits are on April 30 and May 3rd, 2010. 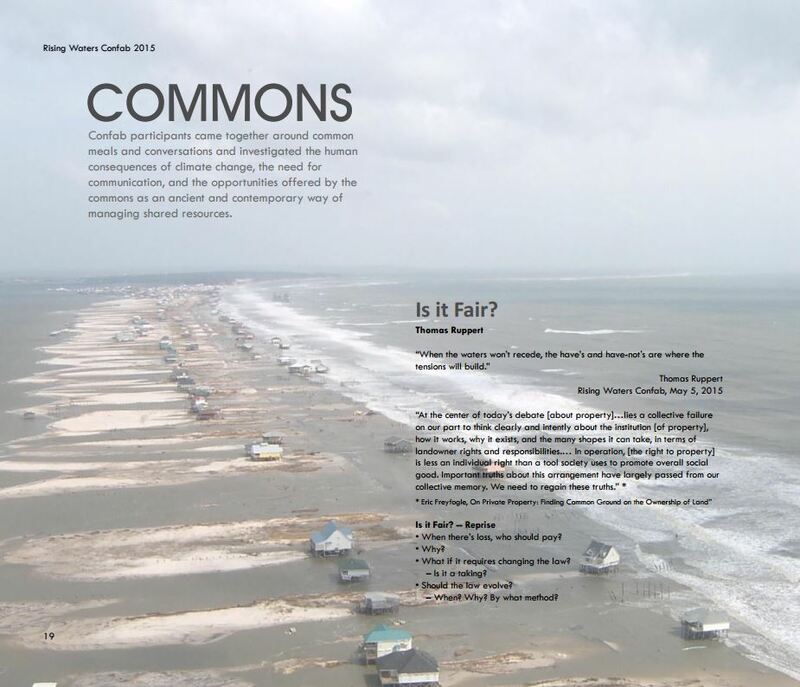 Problem: Eco-artists work with scientists to develop ways of engaging communities in bioremediation. The natural world is truly an interconnected one. Sometimes, rebuilding healthy ecosystems requires not just replacing the native species humans removed, but also eliminating the dangerous ones humans introduced. 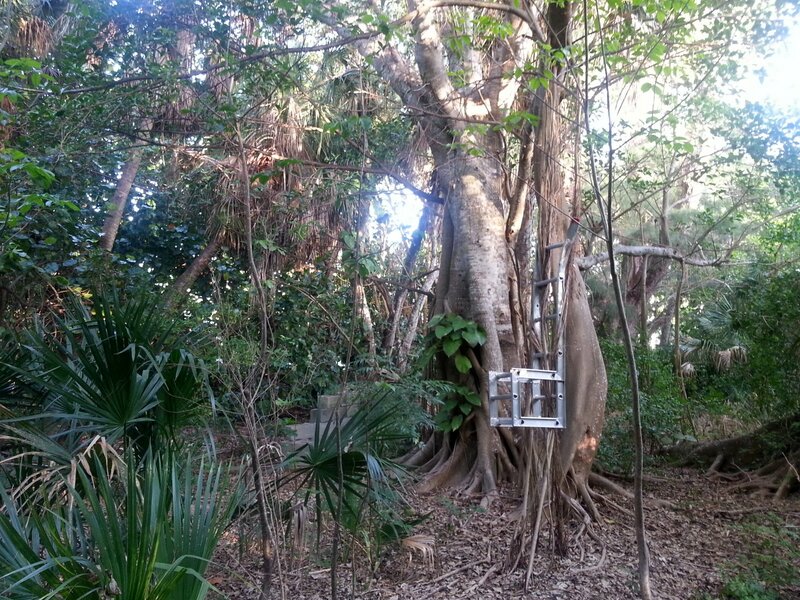 The Hanging Gardens project is a series of indoor eco-art sculptures and installations developed by Miami-based artist Xavier Cortada that address the problem of exotic invasive species destroying South Florida’s ecosystems. 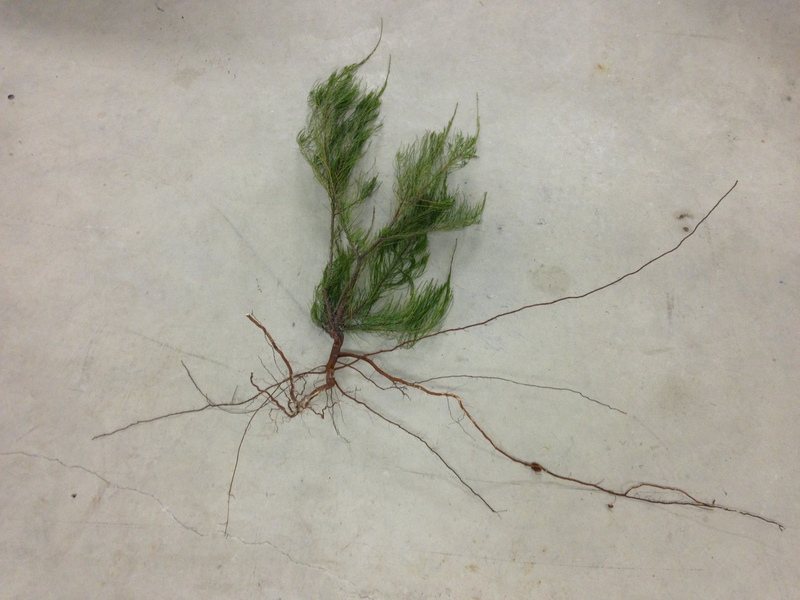 For this assignment, you will each create a Hanging Garden sculpture using invasive species that have been introduced to the ecosystems of East-Central Alabama. After reviewing Cortada’s project online, we will have a guest speaker from the Alabama Invasive Plant Council lecture to the class. 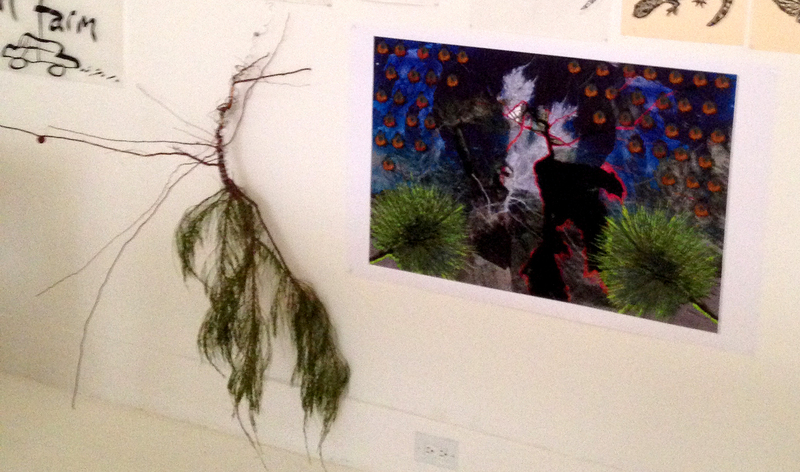 You will then choose and research an invasive plant to use as the raw material for your sculpture. You will use the problem-solving process covered in the Introduction to Sculpture course to begin exploring this problem. We will discuss these ideas as a class before you begin developing prototypes of your sculptures. Caution: Do not trespass on private property to obtain your wood. It is illegal to harvest wood from state parks. Wear blaze orange colors during hunting season. Beware of poison ivy. Do not fell large trees without professional assistance. Possible Materials & Tools: You must again use wood to create a significant portion of your object, but all materials are at your disposal. 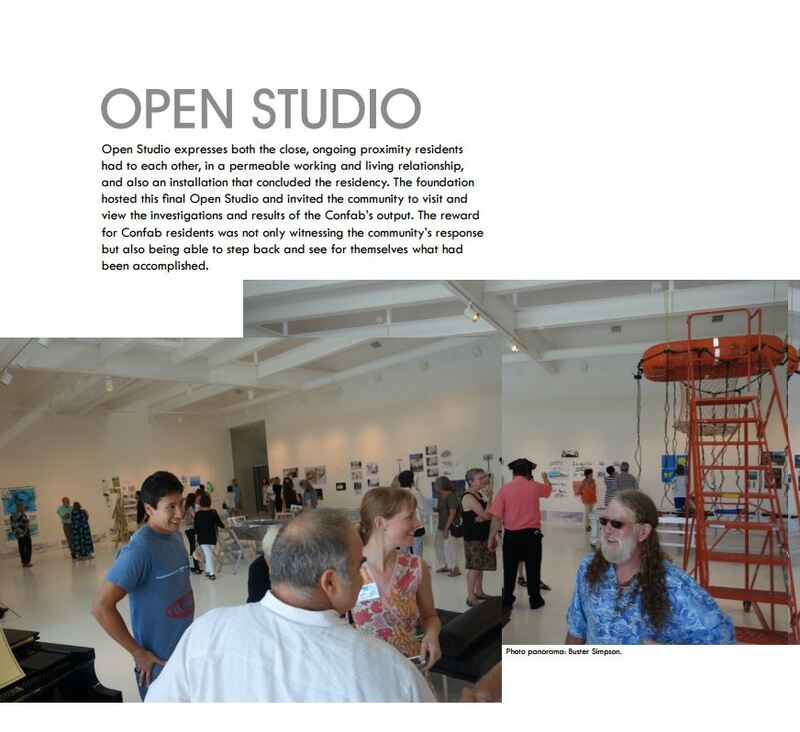 To consider the broader ecological context as a source for untraditional artistic materials. To execute your sculpture with an appropriate level of craft. 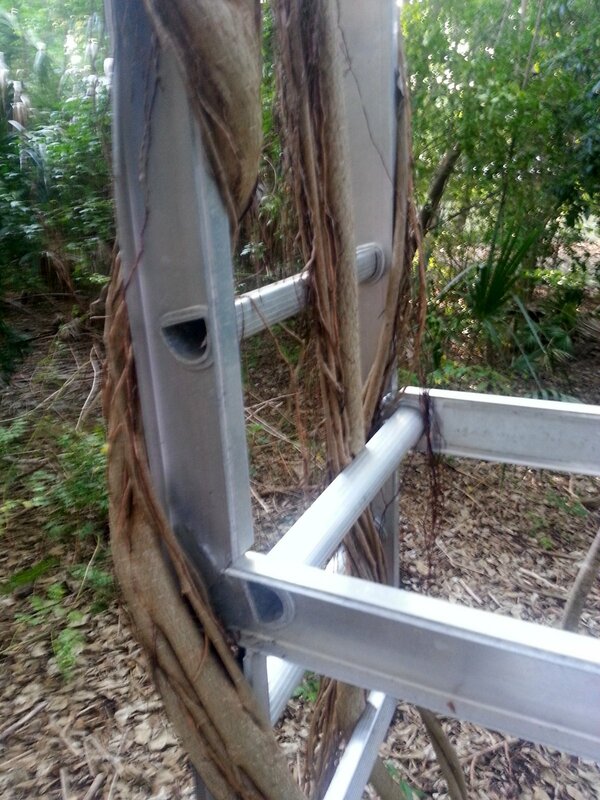 In 2013, Buster Simpson wound stranger fig roots around a aluminum ladder chair. 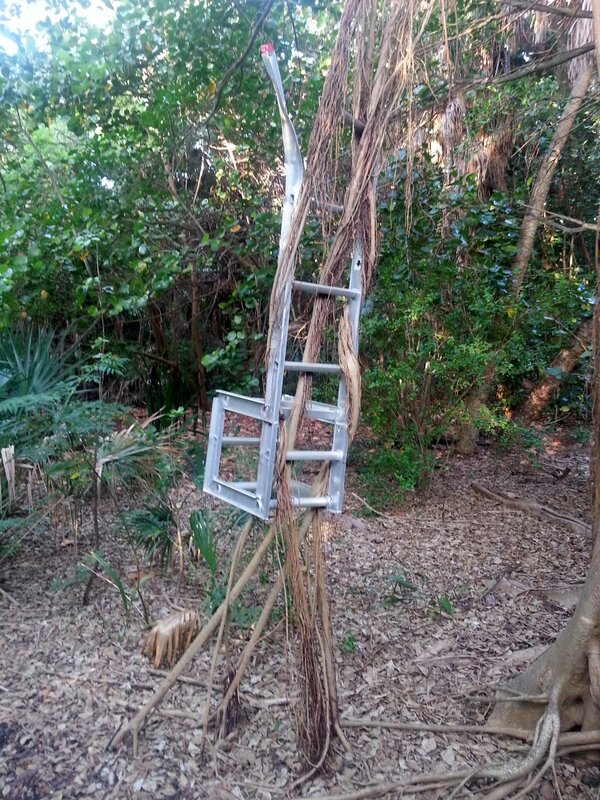 In 2015, the chair is firmly in the grasp of the tree. 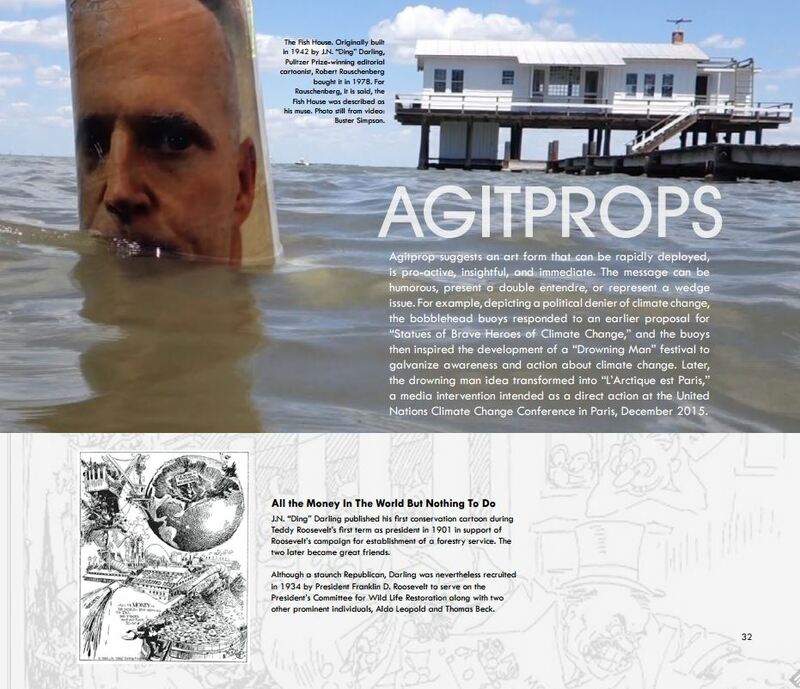 At 8:03, May 14, , 2015, Glenn Weiss struck water at the Rauschenberg Residency on Captiva Isfand. 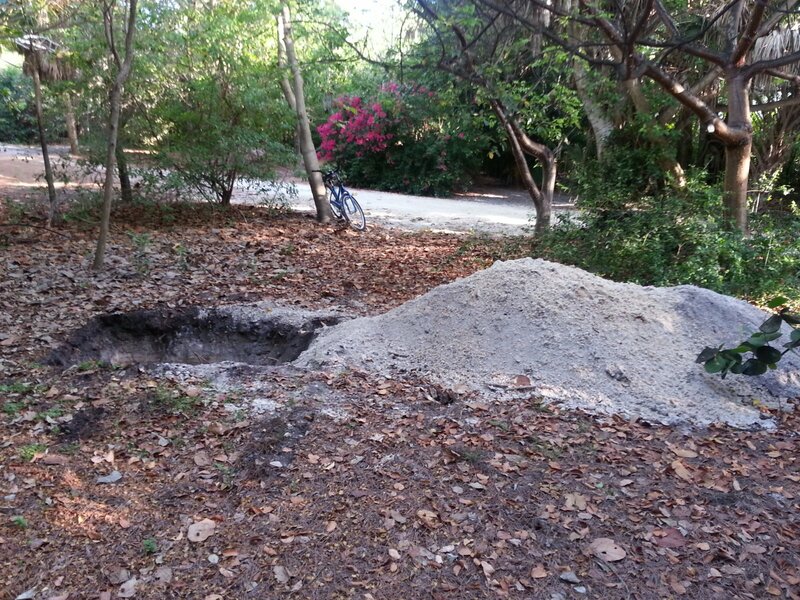 The layers were as follows: Top soil with organic matter and tree roots from gumbo limbo tree and strangler fig, a mixed layer of sand and organic matter, pure fine beach sand, a root layer most likely from a dead slash pine 5 feet from the dig and the final layer of broken and intact sea shells with brown-yellow water. 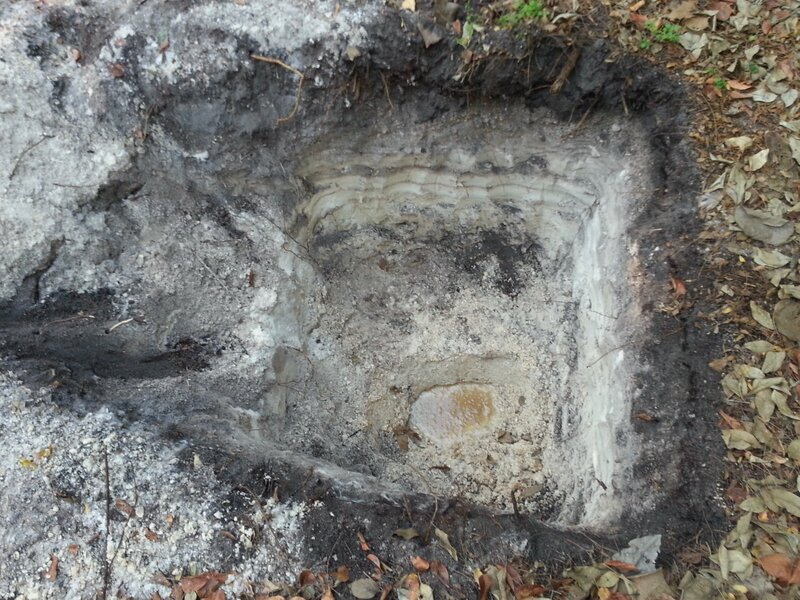 Dig site at time of water strike. 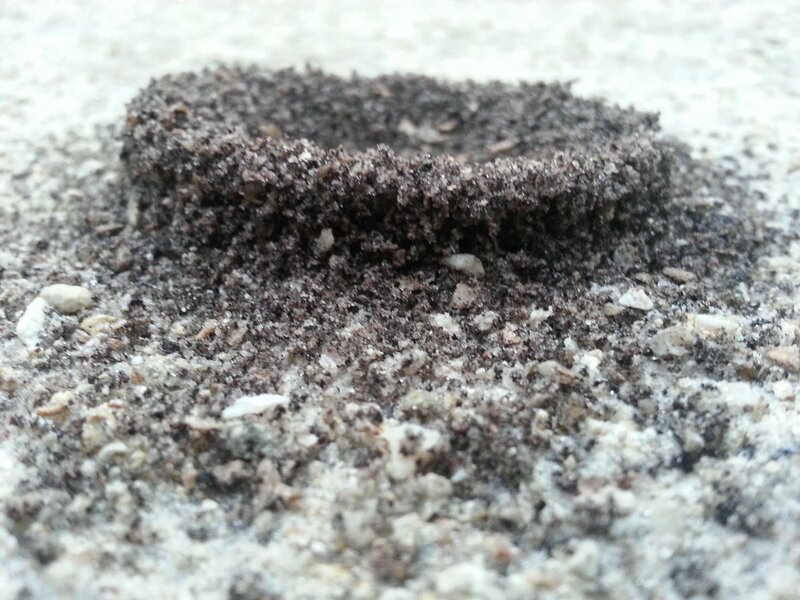 The island’s ants and crabs demonstrate the mandatory ying and yang of island construction. 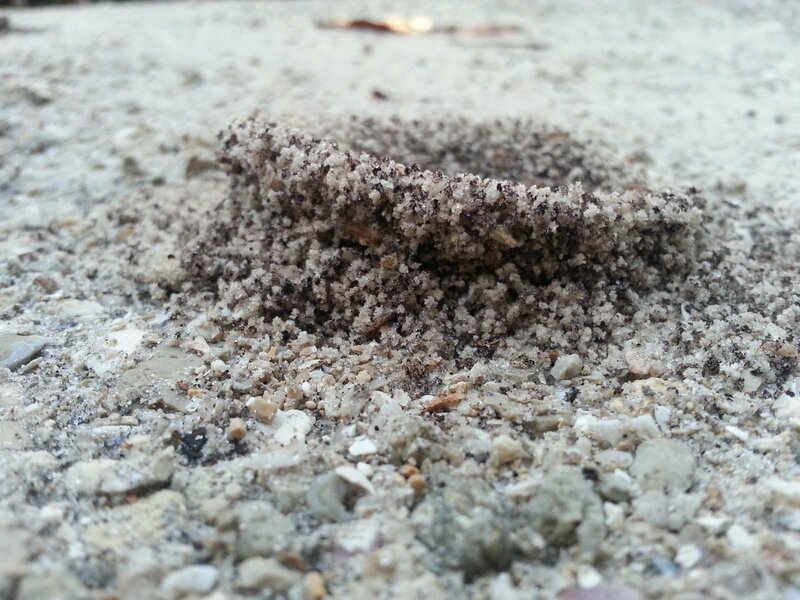 If a hole is dug, a mound must be made. 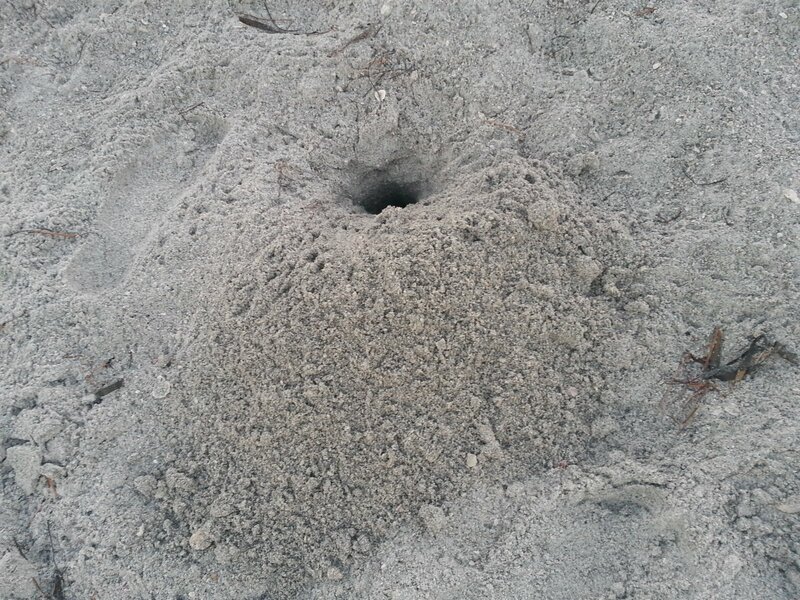 Although not seen in the pictures, the holes must be re-dug or cleared after the rain or tide. Permanent structures are defined as repeated re-makings.